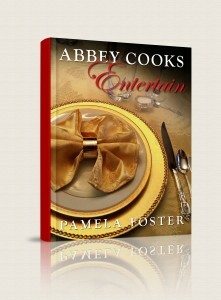 Culinary historian and Downton Abbey fan Pamela Foster has written Abbey Cooks Entertain, a downloadable cookbook ($7.95) inspired by the British period drama. The book boasts 220 recipes including dishes from season one through three such as Christmas plum pudding, crepe suzette and raspberry meringue pudding. Excerpts from the book is here.